MINNEAPOLIS--(BUSINESS WIRE)--Can happiness be measured? Yes it can, if cool treats and sticky chins are involved. According to a national consumer survey* commissioned by American Dairy Queen Corporation (ADQ), 92.2 percent of Americans say a DQ® soft-serve cone would make them happy. The good news is that like the start of spring, DQ Free Cone Day is just around the corner. 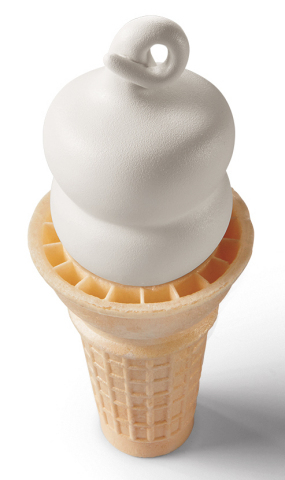 On Wednesday, March 20, fans can enjoy a free small vanilla soft-serve cone with the signature curl on top (limit one per customer, while supplies last) at participating non-mall DQ® and DQ Grill & Chill® locations throughout the U.S.
People are happier on Free Cone Day than they are on their own birthday. 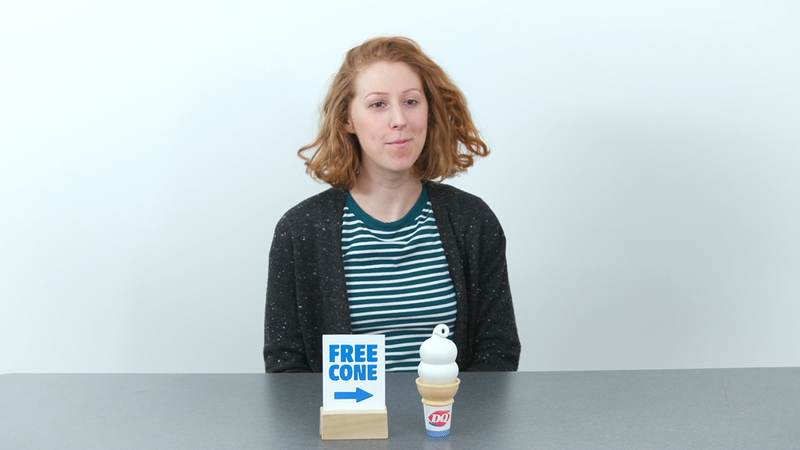 Following Free Cone Day, DQ is offering a small regular or dipped soft serve cone for 50 cents, available for redemption only with the DQ mobile app, March 21-31 at participating DQ and DQ Grill & Chill locations. This offer includes the NEW DQ orange, creamy and crunchy dreamsicle dip, or try the DQ classic chocolate dip. Throughout the year on the DQ mobile app, fans will receive national weekly exclusive DQ deals on treats, food and beverages, redeemable only at participating DQ restaurants in the U.S., excluding Texas. For more information, visit DairyQueen.com and connect on social media using @DairyQueen and #LoveMyDQ. International Dairy Queen Inc., (IDQ), based in Minneapolis, Minnesota, is the parent company of American Dairy Queen Corporation. Through its subsidiaries, IDQ develops, licenses and services a system of 7,000 locations in the United States, Canada and 25 other countries. IDQ is a subsidiary of Berkshire Hathaway Inc. (Berkshire) which is led by Warren Buffet, the legendary investor and CEO of Berkshire. For more information, visit DairyQueen.com. ADQ commissioned a National Survey of 1,000 consumers provided by Innovate and fielded February 18-20, 2019. On March 20, fans can enjoy a free small vanilla soft-serve cone at participating non-mall DQ® and DQ Grill & Chill® locations throughout the U.S.